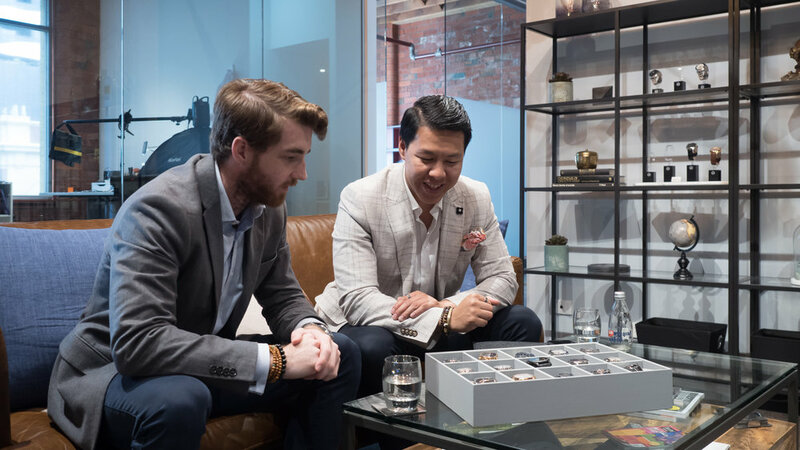 As a watch enthusiast who calls the same city home, Melbourne Watch Company has a brand I have been following ever since their crowd funding Kickstarter campaign with their debut Flinders model. I have been astounded by both the original and borrowed design aesthetics of their watches, paired with reliable mechanical and quartz movements to result in a all round fantastic timepiece that is at a very affordable price point. 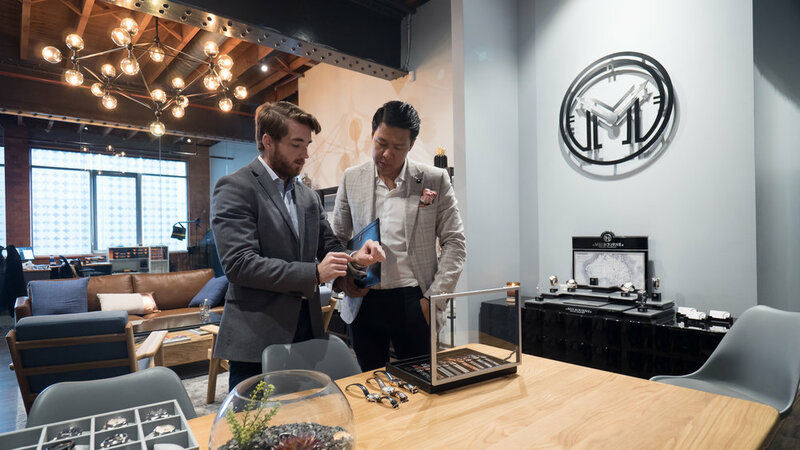 Whilst I was back in town for a short trip, I was invited by my friend and founder of Melbourne Watch Co. Sujain Krishnan to visit his brand new showroom in Melbourne. Located in an unassuming brick facade building opposite the Sean Godsell designed RMIT Design Hub (with louvers that loosely resemble the ratchet wheels of watch movements), The location of MWC's flagship showroom could not feel more appropriate with clear visas from the showroom space to a design and technology institution. The showroom concept was very familiar, It felt like I was walking into one of my tailors for an appointment, Inside I was greeted by the showroom manger Nick McLaren who swiftly offered me my regular coffee and some sparkling water. 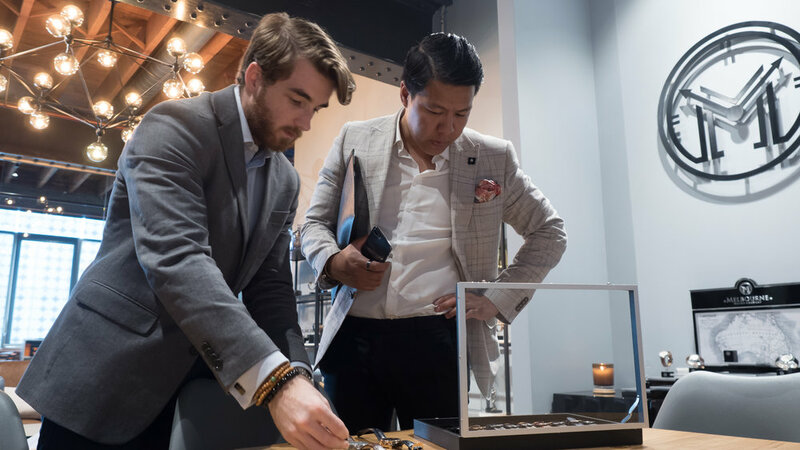 We sat down, along with Sujain to catch up and talk watches, something all too familiar as we have done so in Hong Kong where the founder regularly flies over to attend Horology trade events several times a year. The lofty showroom has a refined industrial aesthetic, where the services and structural elements were consciously left exposed perhaps in reference to the beauty of exposing the mechanical components of a watch with a sapphire crystal case back. The interior consists of mainly glass, red brick and textural elements added by the selection of furniture and visual merchandising items. The MWC guys introduced the latest range of watches to me and we also re-visted some old favourites, they also had some new leather watch straps on display. 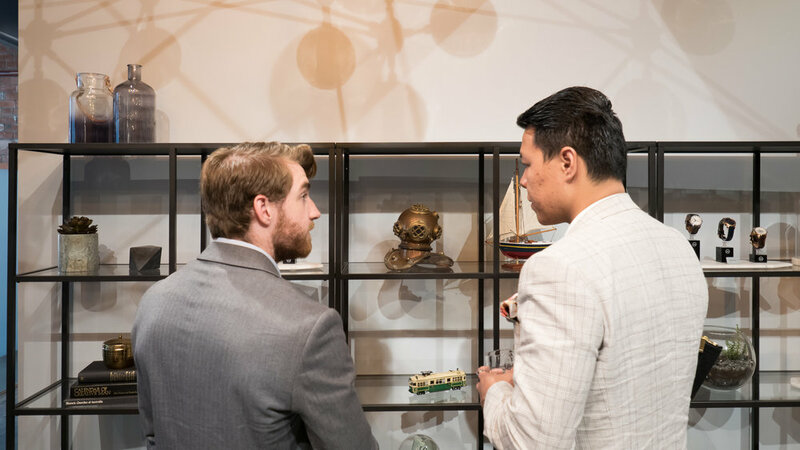 During my time visiting the showroom we discussed some R&D developments happening at the moment and future models currently in the design and manufacturing process for this fast scaling brand.